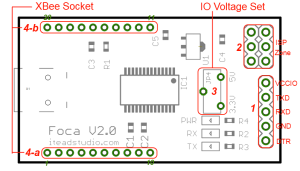 The ITead Studio Foca V2.1 USB to serial converter and the ITead Studio RDM360-UART 125kHz RFID tag reader. 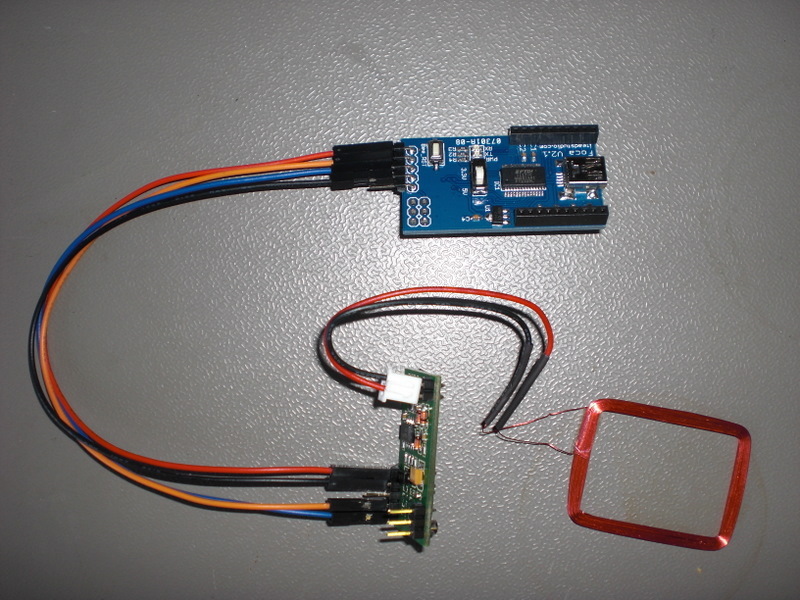 Together with the female connector wires from DealExtreme you can quickly build a test setup and read 125kHz RFID tags. 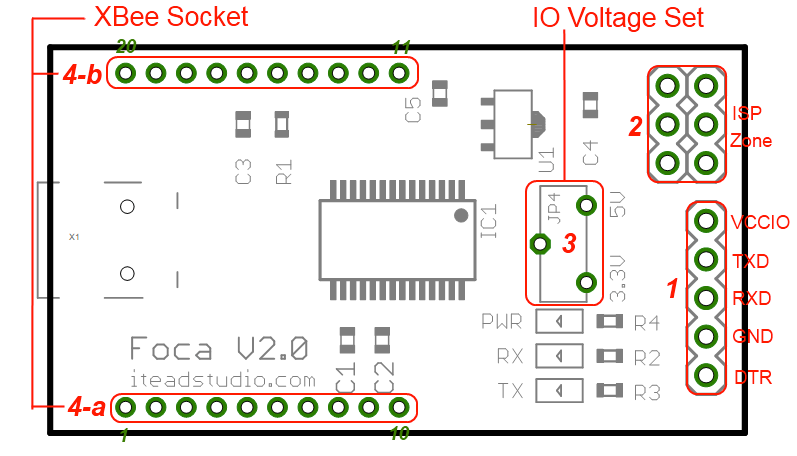 One complication : The datasheet for the ITead Studio Foca V2.1 is WRONG ! 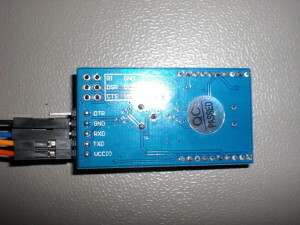 The incorrect connection diagram of the ITead Studio FT232RL board.. 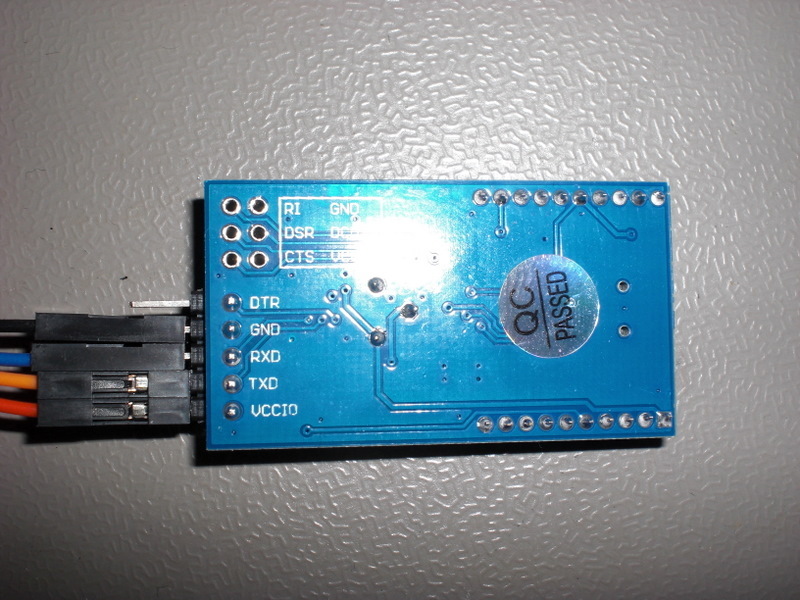 The wiring diagram does not correspond with the board. The correct pinout is on the rear of the board, the wires goes on top. Strange and clumsy. The rear of the actual ITead Studio FT232RL board. With the correct pinout the setup works like a charm.